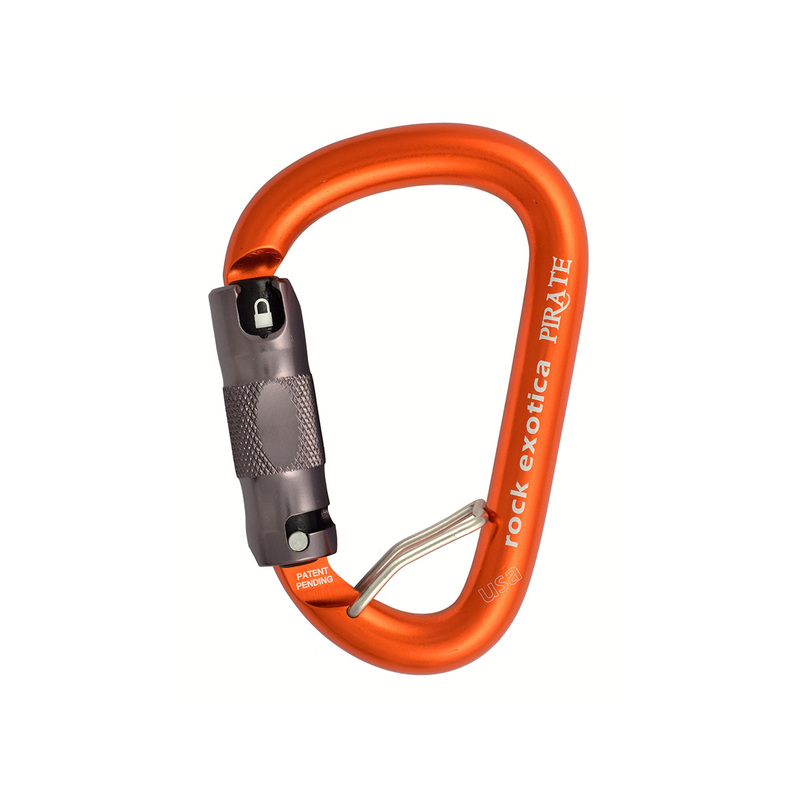 Rock Exotica's Pirate WireEye Auto-lock combines the utility of a standard carabiner with the safety and capability of a lanyard pin, or captive eye. The WireEye holds gear, lanyards and lines with enough resistance to help prevent gear from moving past the end of the carabiner, but releases easily when lifted up. When the potential arises for dangerous leverage or cross-loading, the WireEye helps keep the carabiner positioned correctly, and the gear where it belongs, while the auto-lock gate eliminates the chance of an accidental opening.